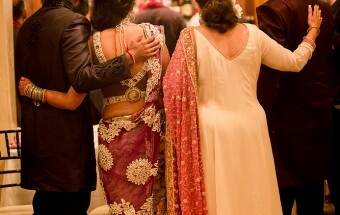 Happy to see the wedding of Cherie and Janaka featured today on Maharani Weddings! This beautiful Sri Lankan – Tibetan Wedding was held at the gorgeous Estancia La Jolla. Along the talented team at Avec Lumiere Productions we had plenty of opportunity to capture amazing images whether it was the vibrant outfits, the decor, the doves, Tibetan music, amazing dancers (that entertained the guests during the reception) and everything else that came together under the expert planning of Betty Blue Events. To view the entire Gallery please click here.